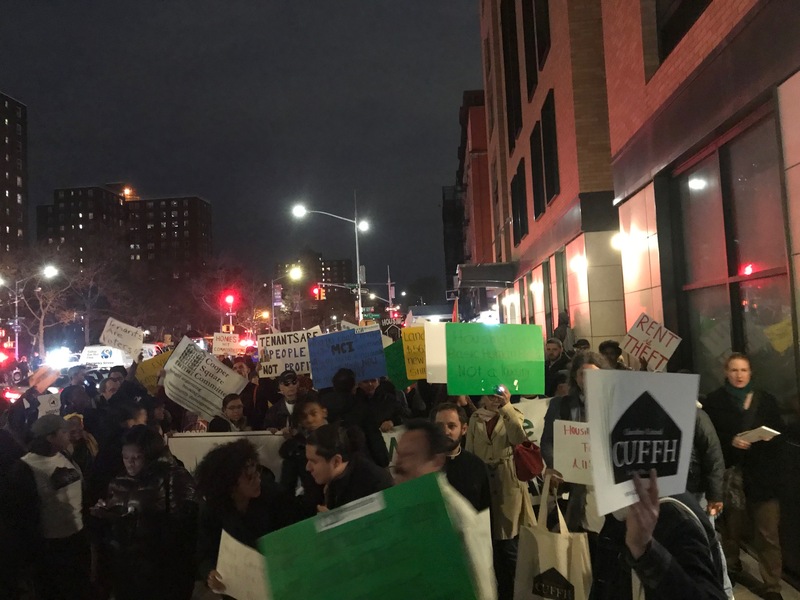 A raucous crowd marched in Harlem last night, demanding Albany legislators follow through on promises to not just renew but strengthen the state’s tenant protections. 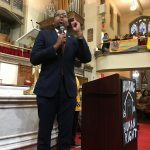 There was a palpable desire in the church to see tenant-friendly legislation passed in this post-budget session in Albany, as religious leaders, elected officials and tenant activists one after the other called on legislators and the governor to pass a package of nine bills that, taken as a whole, constitute a platform that’s been called universal rent control. 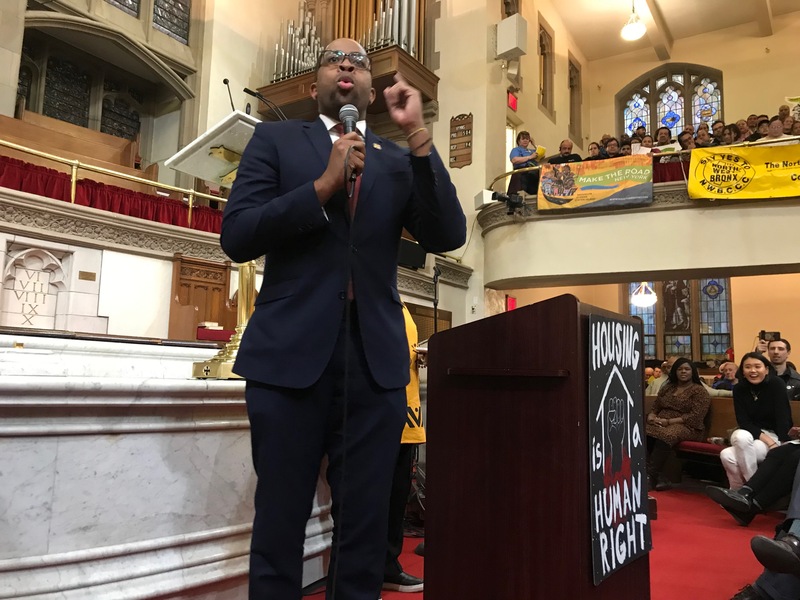 And to drive the point home, three of the city’s four top elected leaders were there to encourage the crowd and vow to work with them to get the bills passed in Albany. 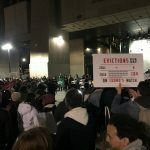 Attendees at the rally and march are asking for more than a simple renewal of the state’s rent laws this year, which are expiring this year at the end of June. 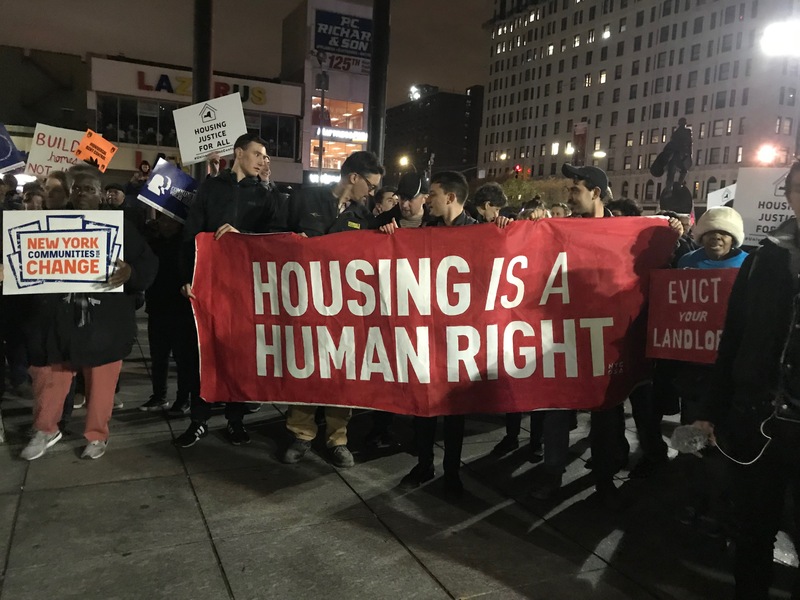 Universal rent control is made up of a series of nine bills, some old and some new. 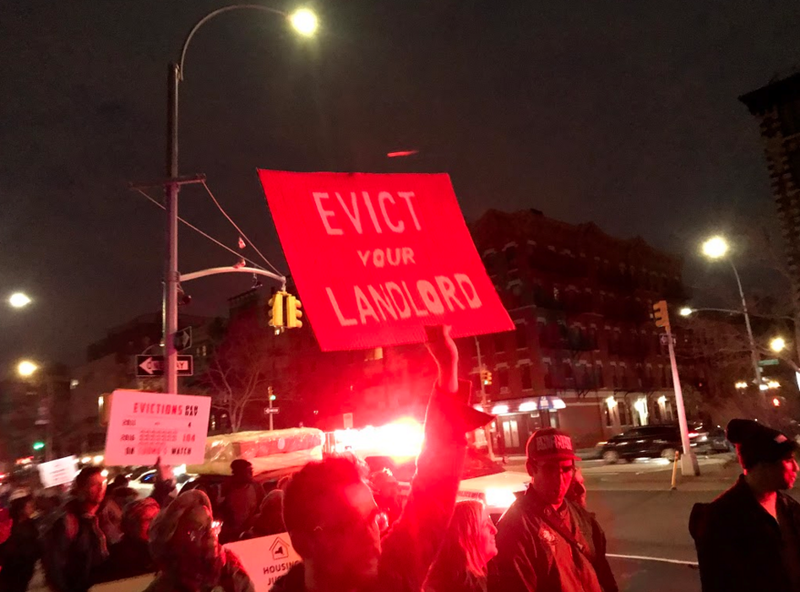 The bills that have been introduced and died in a previously non-Democratic State Senate are: an end to vacancy decontrol (the ability for landlords to destabilize a vacant apartment once it reaches $2,733 per month) and the vacancy bonus for landlords (a 20 percent rent increase allowed to landlords when a tenant moves out of a stabilized apartment), the elimination of rent increases tied to building-wide and single-apartment upgrades (known as major capital improvements and individual apartment increases), a cap for rent-control increases to bring them in line with rent-stabilization rent increases, and requiring that any rent increase from a preferential rent be based off that rent and not the legal rent of an apartment. 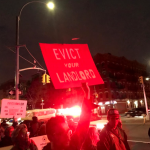 Those have been joined by a new series of bills: the expansion of rent stabilization rights which are currently only available to renters in Nassau, Rockland, Westchester and New York City counties to the entirety of New York State, a “good cause” eviction bill that would tie non-stabilized rent increases in small buildings not covered by stabilization to a “local price index,” and a law allowing New York State to investigate rent overcharge complaints by looking at more than the currently allowed four years of rent history. 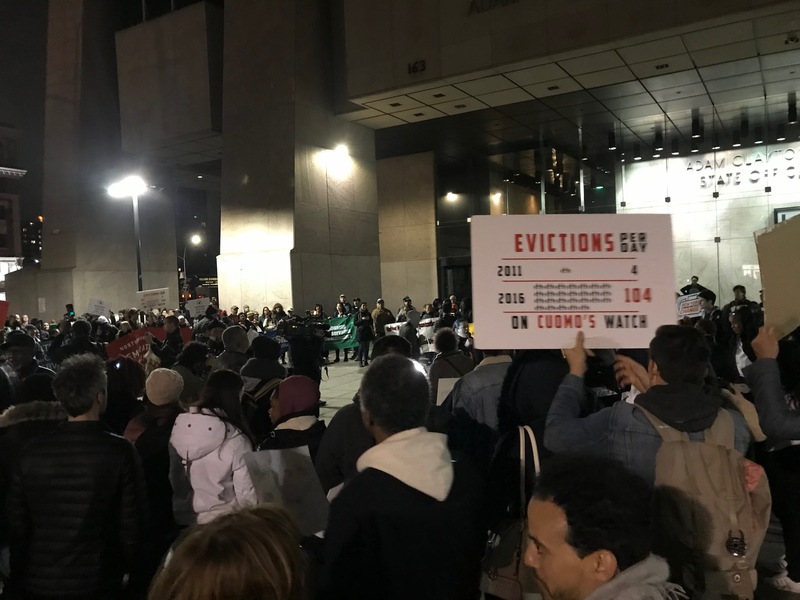 A number of speakers hammered home the desire to see all nine bills pass, including a segment of the rally where state senators Robert Jackson and Zellnor Myrie and Assembly member Al Taylor all publicly endorsed each bill. 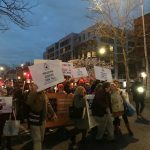 While the last deal in Albany to keep rent stabilization alive in 2015 only extended the program for four years and raised the threshold for vacancy decontrol from $2,500 to $2,700 per month, this year activists see an opportunity to actually get tenant-friendly laws on the books due to the Democratic supermajorities in the Assembly and State Senate. 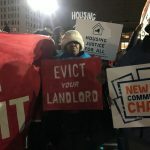 In addition to the wave of State Senate victories that sent universal rent control supporters like Myrie, Jessica Ramos and Julia Salazar to the State Senate, the movement has a friend in the Assembly in Speaker Carl Heastie, who sent out a press release this week endorsing every bill in the package except the just cause evictions bill. 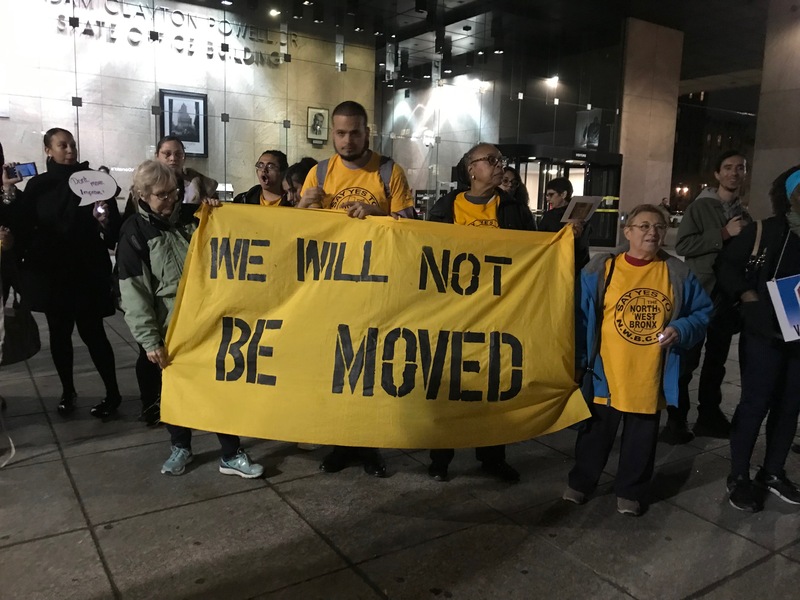 “We have seen far too many families forced out of the neighborhoods they shaped because of the cost of rising rents and property speculators chasing profits over people,” Heasite wrote in the release. 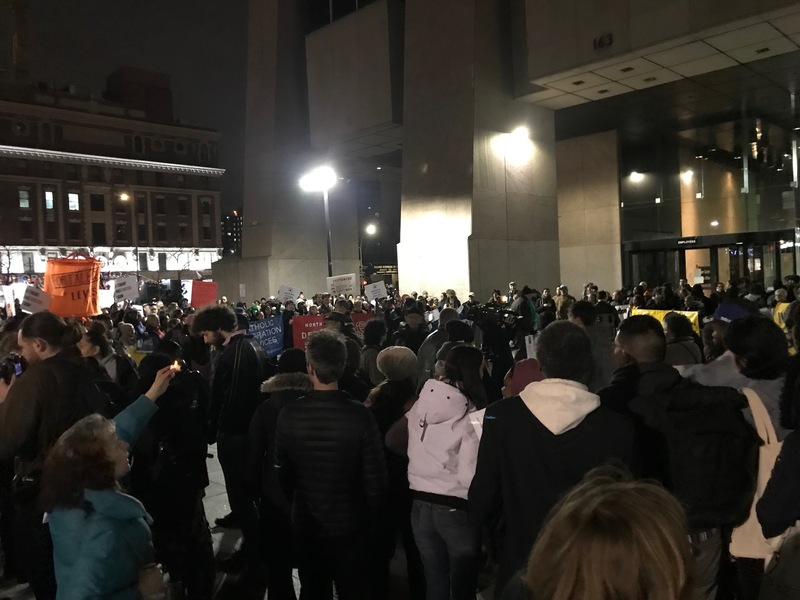 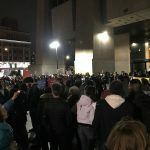 Following the rally, a couple hundred of the attendees spilled out onto 138th Street and marched down Adam Clayton Powell, Jr. Boulevard for another rally in front of the state office building also named after the Congressman. 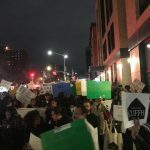 Zellnor Myrie, who stuck around for the march, told Bedford + Bowery that this year’s push for expanded rent laws had an advantage in being a statewide movement. 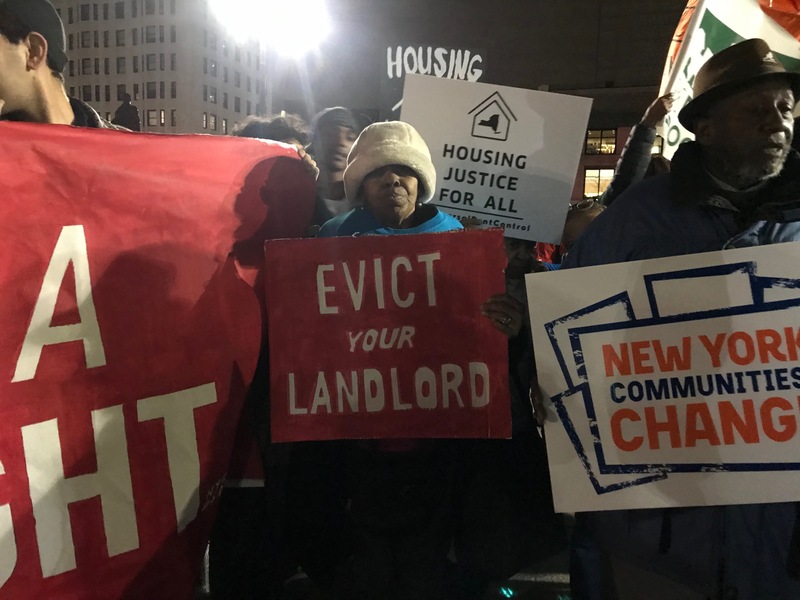 “We had tenants come to Albany from all over the state, it’s a coalition we haven’t seen before,” Myrie said. 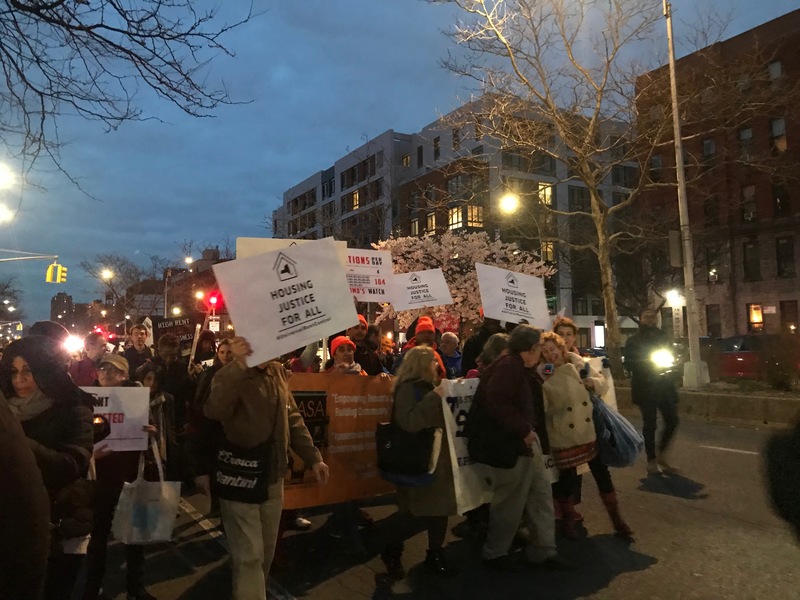 “I’ve got grandkids, I want to make sure they have affordable housing and no problems,” Gloria Brooks, who lives in a rent-stabilized building in Hell’s Kitchen told Bedford + Bowery while marchers headed towards their destination at 125th Street. 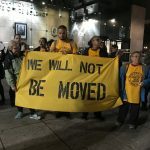 Marchers originally took to the street, but with fewer numbers than last summer’s housing march in Midtown Manhattan, they were herded back onto the sidewalk by responding police. 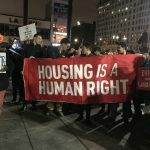 Even confined to the sidewalk, though, chants for housing as a human right and universal rent control were still shouted.